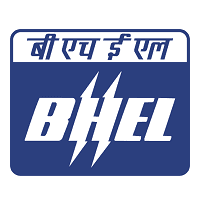 BHEL Trichy Jobs Recruitment Notification 2018.Bharat Heavy Electricals Limited, Tiruchirappali inviting applications for the positions of Technician Apprentice.Interested and Eligible candidates can apply for the positions. Last Date for Submission of Application is on November 05th, 2018. Selected candidates will get Rs.4000/- per month from the date of joining from the organization. Look around for “BHEL Trichy Recruitment 2018 for Technician Apprentice Posts“.